A stylish, IP44 flush ceiling light for your bathroom in a simple and elegant contemporary design. 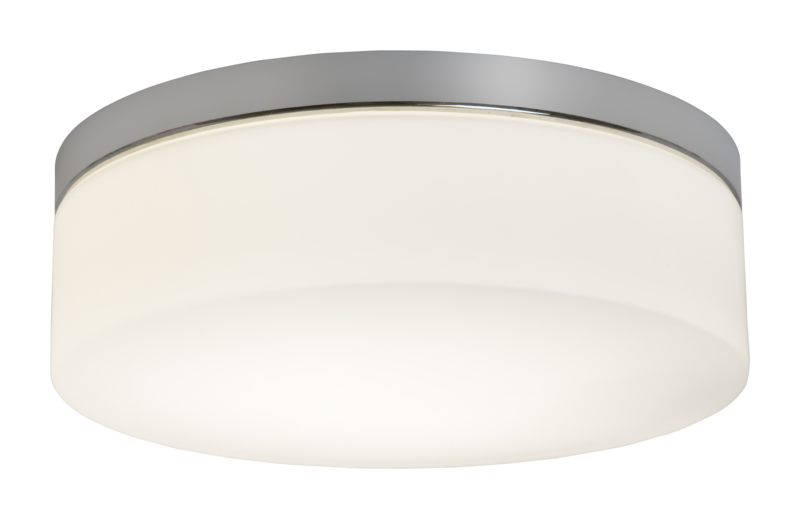 A circular white opal glass diffuser is framed with polished chrome. An attractive light that would suit many styles of bathroom or utility area. This IP44 rated ceiling light requires a 60w E27 lamp and is suitable for use in bathroom zones 2 and 3 and may be used in conjunction with a dimmer.